Alina Starkov doesn’t expect much from life. Orphaned by the Border Wars, all she’s ever been able to rely on is her best friend and fellow refugee, Mal. And lately not even that seems certain. Drafted into the army of their war-torn homeland, they’ve been sent on a dangerous mission into the Fold, a swath of darkness crawling with monsters who feast on human flesh. When their convoy is attacked, all seems lost until Alina reveals a dormant power that not even she knew existed. She is torn from everything she knows and whisked away to the royal court to be trained as a member of the Grisha, the magical elite led by the mysterious Darkling. He believes that she is the answer the people have been waiting for: the Sun Summoner. Only her power can destroy the Fold. Overwhelmed by luxury, envied as the Darkling’s favorite, Alina struggles to keep her wits about her without Mal by her side. But nothing in this lavish world is what it seems. 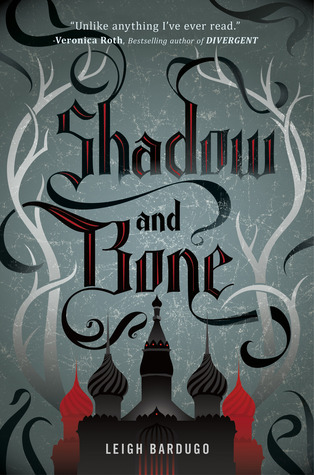 With darkness looming and an entire kingdom depending on her mastery of her untamed power, Alina will have to confront the secrets of the Grisha—and the secrets of her heart. I can't wait to read this book! It sounds like an alterna-world I want to learn more about. Monsters, a royal court, and what is this Fold? I'm all over it! Bardugo will be part of the Fierce Tour with Anna Banks (Of Poseidon), Emmy Laybourne (Monument 14), and Jennifer Bosworth (Struck). They’ll be joined at various stops by special guests Marissa Meyer (Cinder) and Jessica Brody (52 Reasons to Hate My Father, My Life Undecided). TEXAS, they have a stop in Houston!